Icelandic and American entrepreneurs share many traits, such as creativity, tenacity, adaptability, and a practical operational mind-set. This is particularly evident when one surveys Icelandic firms which have found the U.S. a rich environment for growth and additional opportunities. This is the main reason why our Embassy is supporting the Start Up Iceland Conference at Ásbrú. By bringing some of the top entrepreneurial minds in the U.S., such as Brad Feld and Brad Burnham, some high-tech experts, and a few up and coming entrepreneurs from the U.S. and other countries, we know that young Icelandic entrepreneurs and their American counterparts will receive encouragement, additional ideas, and the motivation to succeed in the future. Top Icelandic students to the U.S. 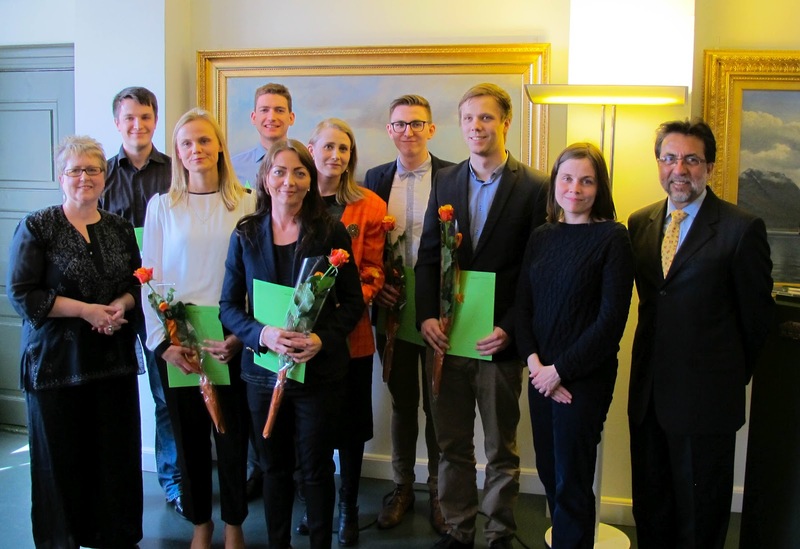 I attended a reception honoring eight Icelandic students who earned Fulbright, Cobb, and Boas grants to pursue studies in the United States at some of our top universities. These outstanding Icelandic students will be pursuing advanced degrees in engineering, law, music composition, the Manhattan School of Music, the University of Miami, and the University of Minnesota. 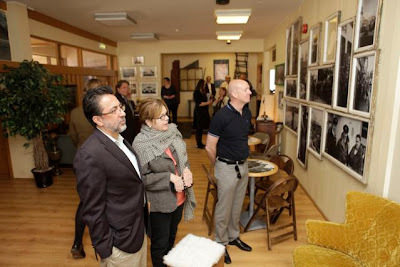 Educational exchanges such as those funded by the Fulbright program, Ambassador Cobb, and the Franz Boas Foundation deserve to be commended for their accomplishments in promoting understanding between Iceland and the United States. I had the honor to represent the United States at a ceremony honoring the cooperation between Iceland and the U.S. during World War II. 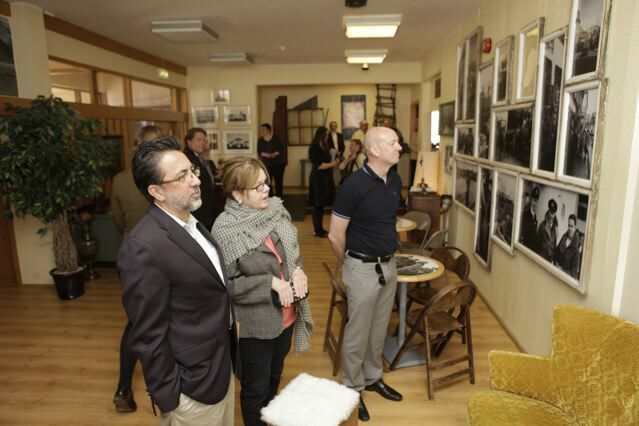 The event marked the opening of a museum at the Hlaðir Community Center which shows artifacts and photos from the days when the U.S. Navy was deployed in the area to participate in the Arctic Convoys that carried vital supplies to the Soviet Union. The British and Russian Ambassadors also participated, demonstrating the gratitude many nations feel to Iceland for serving as a critical source of support during our common struggle. The photos reminded all attendees of the close cooperation between American and Icelandic sailors and of the sacrifices made by many who perished during the convoys. 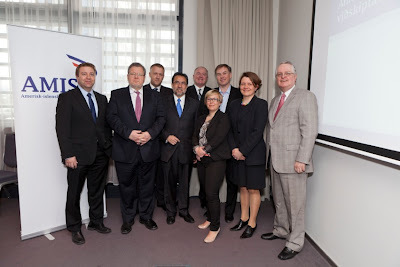 On May 10, at a standing-room only event, the Board of Directors officially launched the American- Icelandic Chamber of Commerce. This was a seminal event in Icelandic-American relations and it demonstrated the depth and breadth of our economic ties as over 100 of Iceland’s most important business firms and organizations joined the Chamber. We were honored to have Foreign Minister Skarphéðinsson open the event along with the Mayor of Denver, Michael Hancock. Their remarks framed the importance of the bilateral relationship to both countries and highlighted the bright future and continued economic benefits it will bring to Icelanders and Americans. 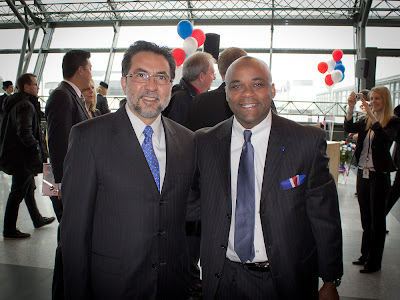 I took part in the whirlwind program organized by the City of Reykjavik, Icelandair, the Ministry of Economy, and the City of Akureyri to welcome Denver Mayor, Michael Hancock to Iceland. His delegation of business, state, and city leaders were here to launch Icelandair’s direct service to the Mile High City. 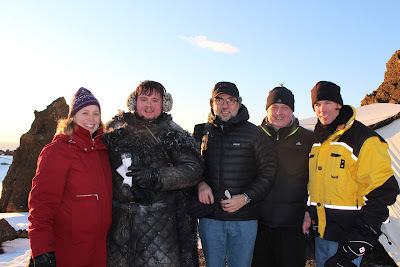 While we had suspected that Denver’s dynamism and Colorado’s love for the outdoors, clean energy, and high tech industry would be a good fit with Iceland, we had not anticipated how quickly the delegation would connect with their Icelandic counterparts. Every member of the delegation was smitten with Iceland and the potential it has for business, cultural, and educational partnerships with Colorado. Denver will give Icelanders access to the Western part of the United States and many opportunities for strengthening people-to-people ties. LazyTown is one of Iceland's hottest, and certainly healthiest, exports to the world. 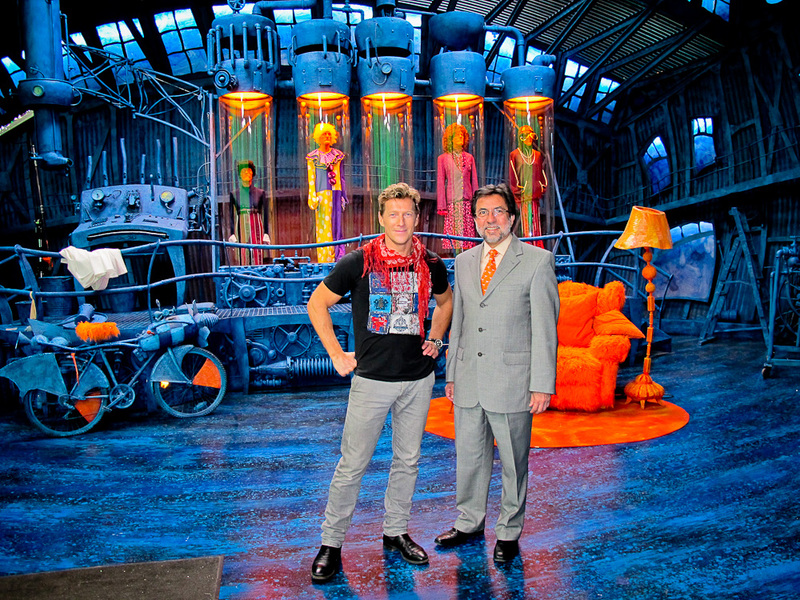 It is a fantastic children's show created by Magnus Scheving - one of the most dynamic and creative Icelanders I have met during my tenure here. LazyTown is a fun show that encourages children to lead healthy lifestyles by combining having fun, exercising, and eating healthy foods (especially sport's candy). What is equally exciting is that Turner Broadcasting System saw the value of the show and invested heavily in its future. I know I've written this before but, great things do happen when American and Icelanders join forces! 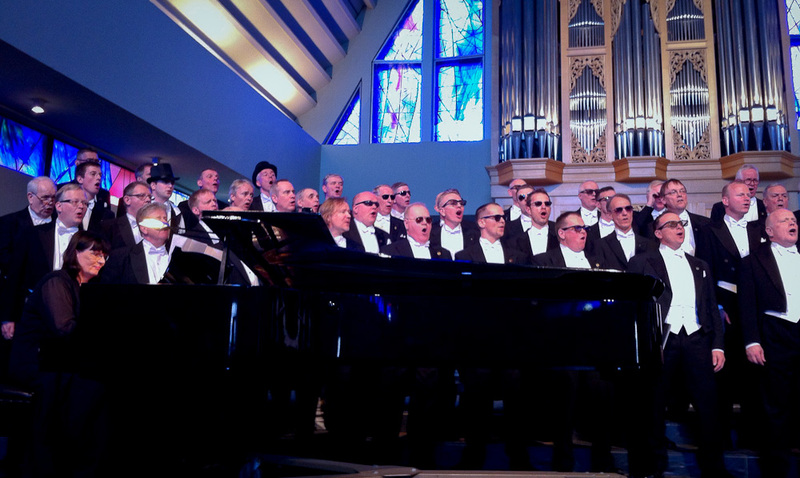 I had the privilege of attending the last Spring concert by the Icelandic Male Choir Fóstbræður at Langholtskrikja. It would be difficult to describe just how moving their performance was. The choir's interpretation of works by Thorarin Jonsson, Arni Thorsteinsson, Ingi Larusson, and others was stirring and uplifting. Anyone interested in exploring the soul of Iceland would do well by listening to some of these pieces. I also have to mention the energy and brilliance brought by pianist and good friend Steinunn Birna Ragnarsdottir and the incomparable voice of Gissur Pall Gissurarson. I was deeply grateful that the choir used their enormous talents to interpret work by American authors. 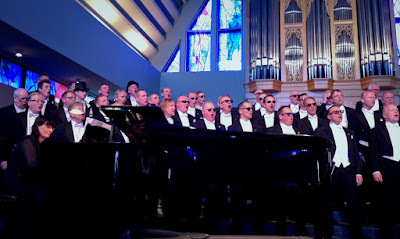 Eric Whiteacre's Lux Aurumque was superb and their rendition of M. Bartholomew's Shenandoah, Gershwin's Summertime and John Kander's New York, New York ended the concert in a festive fun mood. I received an invitation from American Fulbright music scholar, Kimberly Cannady, to attend a performance by three outstanding groups from the nordic region: Via Artis from Denmark, Voces Thules from Iceland, and Mpri from the Faroe Islands. I didn’t quite know what to expect and quickly found myself in music heaven when I realized that it was all about music composed between the 10th and 15th centuries. 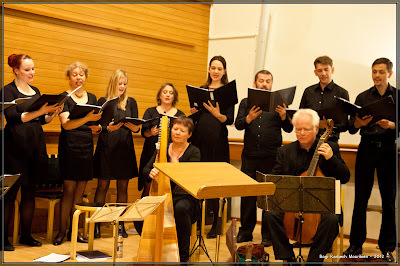 In addition to the choirs and a wonderful soprano, Anne-Christine Wesser Ingels, the ensemble included a harp, a viol, a rabab, a citole, drums, and flute. The music ranged from Spanish music to traditional Nordic songs from the middle ages. One of the aspects that I enjoy the most in Iceland is watching American scholars interact with their Icelandic counterparts and produce amazing art. This week’s airing of “The Ghost of Harrenhal” brought Game of Thrones fans face to face with the Fist of the First Men - a place that is at once stunningly beautiful and as cold as the actors looked. I can attest to it, having trekked up the mountain of Myrdalsjokull in Iceland, where some of the scenes were filmed. I was lucky to meet some members of the cast and filming crew, including John Bradley, David Benioff, and Chris Newman. I can’t wait for some of the battle scenes up in the Fist of the First Men and for the fans to get other shots of Iceland. 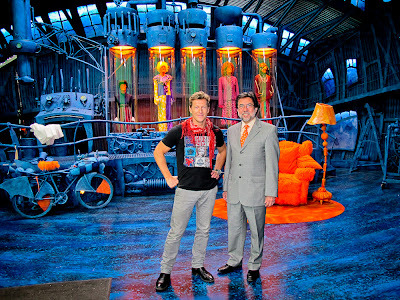 We were delighted to see the filming of a very popular American show in Iceland. I went to the see the Avengers, another saga from Marvel Studios, which teams up a collection of super-heroes, including Thor, a key character from Nordic mythology. Without giving away too much to those who haven’t seen the movie (the U.S. release date is May 4), I would have to say that Thor and Loki (another Nordic character) will not disappoint. If it is any indication, the Icelandic audience was very engaged and quite taken by the turn of events in the movie. 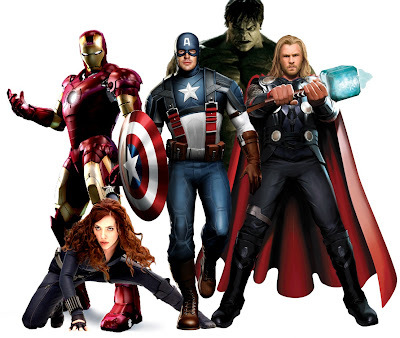 They seemed satisfied with the role each of their superheroes played. Sorry, I can’t say more. The Embassy enjoyed hosting several chapters from the Rotary Club in Iceland. We were especially pleased to see that members of the newly formed e-Rotary joined the group. We had a great conversation about many different topics ranging from elections, the financial meltdown, the future for young people the world over, the bilateral relationship, and other topics of common interest. 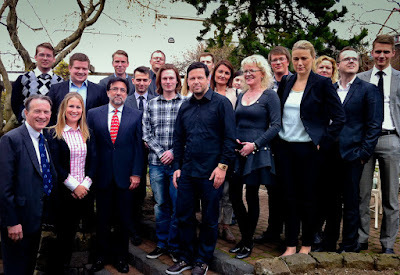 The group represents a cross-section of Icelanders in terms of profession, age, interests, which made the conversation all the more interesting.